You will need a small styrofoam cone, patterned paper, white flocking, a white pom pom, small half pearls, a holly die or paper punch and a small doily. Cover the cone with patterned paper. I used a polka dot pattern, which worked great for adding the pearls later. Trim a 1/4" strip of white cardstock, scalloping one long edge. Following the manufacturer's directions, add white flocking to the strip. When dry, glue it in place along the bottom edge of the hat, with the scallops facing down. Add a white pom pom to the top of the hat. Place white pearls all over the hat in a random pattern. Die cut or paper punch three small holly leaves. Group them together and add them to the hat as shown, along with a red half pearl. Glue the hat to a doily. 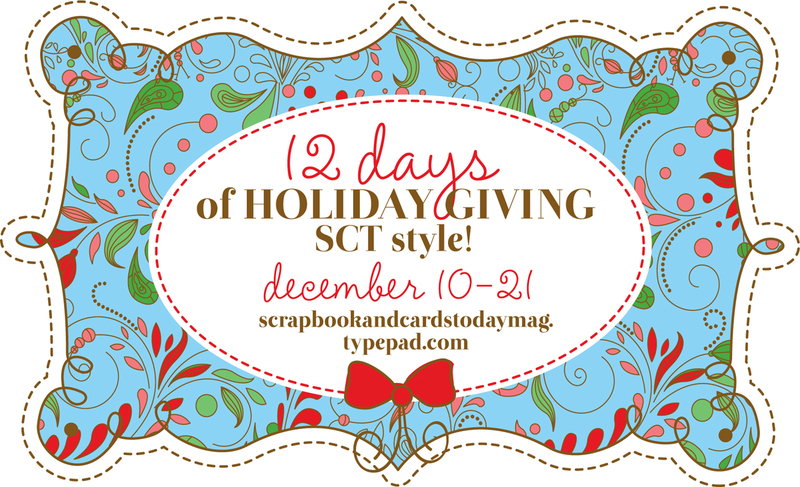 Have you been keeping up with the give-aways during SCT's 12 Days of Holiday Giving? The products have been outrageously wonderful and a little bird told me that one of them will be a nice set of PageMaps dies. ;) Not sure what day, so you'll have to be sure to visit often! 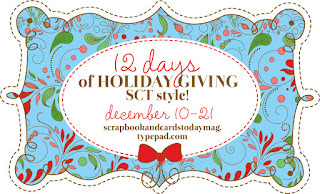 Check it all out at SCT's Blog, as you still have time to enter all of the drawings to date! Another cutie-patootie! I am having trouble finding small styrofoam cones in the craft store! I think everyone in the world is making your sweet projects! Thanks again, Becky, for your ongoing awesome inspiration here! 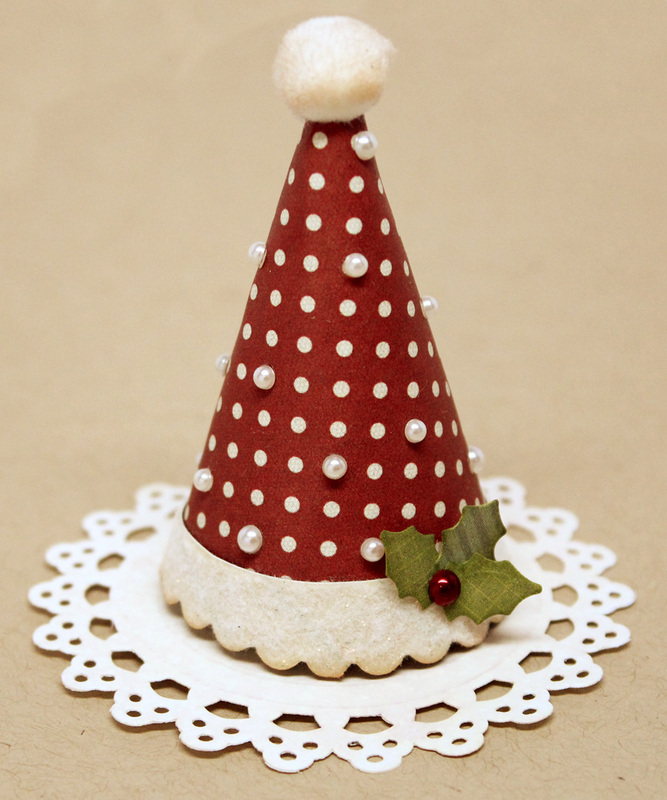 Love your red and white hat with a sprig of holly! what fun I have been pinning the oornaments to use in the future..love the ideas. wow! this one is cool! it makes such a statement! wouw!very cool...i have a cone in my house so.....lets go! What a cute idea. I am ging to make these for place settings.